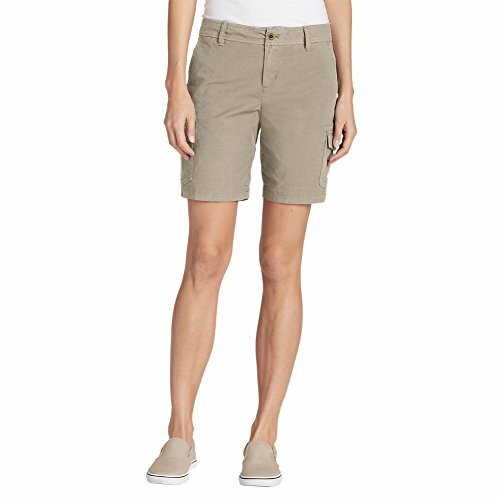 We've updated our popular cargo shorts with new pocket designs, while retaining the signature stretch comfort and durability of the cotton/spandex Adventurer Ripstop fabric. Styled with six pockets (two side cargo, two front slash, and two back flap). Slightly Curvy Fit: Sits just below natural waist; mid-rise; moderately curvy through hip and thigh.